Seagate already makes several external storage solutions specifically for the Xbox One line, including 2TB and 4TB HDDs and a 512GB solid state drive. But with Microsoft’s new Xbox One Game Pass subscription service now here, and the 4K-enabled Xbox One X on the way, 4TB might not be enough, which is why the company has created the Game Drive Hub - an 8TB storage and multi-purpose USB hub. The Xbox One Game Pass, which launched earlier this month, gives owners access to more than 100 Xbox One and Xbox 360 titles for $9.99 p.m. Rather than streaming the games like Sony’s PlayStation Now service, subscribers can download them, meaning extra storage space could quickly become a necessity. Seagate says the 8TB plug and play drive has been designed and tested alongside Microsoft’s Xbox team. It works with the Xbox One, Xbox One S, and Xbox One X, and can easily hold over 200 games. It also features two front-facing USB 3.0 ports for charging wireless controllers and mobile devices, or attaching extra accessories. 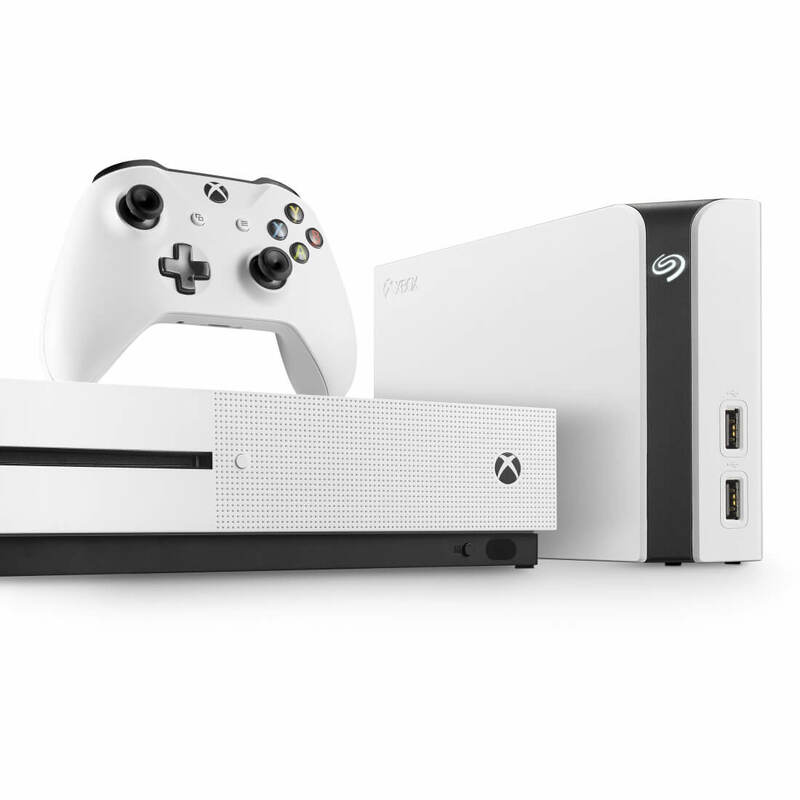 While the drive does work with the Xbox One X, which is set for release this November, its white and black design closely matches the Xbox One S. Aesthetics aside, the upcoming console’s numerous 4K titles and its 1TB hard drive could result in the Game Drive Hub becoming a sought-after product among owners. One caveat (other than being quite pricey) is that unlike Seagate’s smaller capacity drives, you don’t get any free Game Pass time with the 8TB version. The Seagate Game Drive Hub will be available this month at select Seagate resellers for $199.99.